While it seemed like the bulls were in control of oil markets, prices crashed on Friday as poor economic signals boosted bearish sentiment. Oil prices posted fresh four-month highs this week on tighter supply conditions before economic fears sent oil markets crashing. 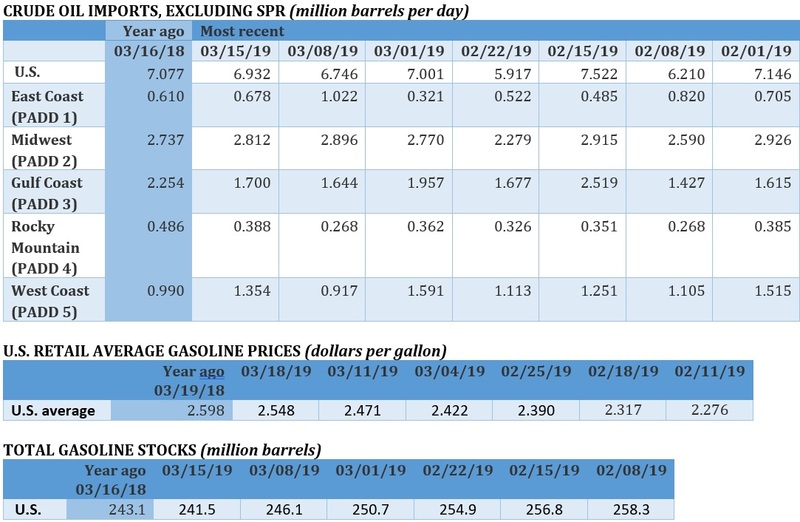 Venezuela and Iran continue to report outages, while the surprise drawdown in U.S. inventories had seemed to give oil bulls the upper hand. Signals from the Fed that it was going to hold off on interest rate hikes this year should also have been bullish for oil, but the economic fear that drove that move from the Fed has hit oil markets too. Report gives Trump justification for auto tariffs. A confidential report was prepared for President Trump that offered him the justification to impose tariffs on imported cars and trucks on national security grounds, should he choose to go that route. The report was prepared in mid-February and not previously reported on until Politico broke the story this week. Such a move would be a major escalation in the trade war, although car tariffs would target U.S. allies in Europe, particularly Germany. White House officials and many Congressional Republicans oppose the move. Trump has not made a decision as of yet. Iran beating sanctions. Iran has sent several oil tankers to Asia using documents that indicated the oil was from Iraq, according to Reuters, although who forged the documents was unknown. Vitol sees peak demand in 15 years. The world’s largest oil trader, Vitol, sees oil demand peaking within 15 years. “We anticipate that oil demand will continue to grow for the next 15 years, even with a marked increase in the sales of electric vehicles,” Russell Hardy, Vitol’s chief executive, said, according to the FT. “But that demand growth will begin to be impacted thereafter.” Vitol is reportedly looking at investments in cleaner fuels and other forms of renewable energy. Fed eases off more rate increases. The Federal Reserve signaled a more dovish turn this week, indicating that the central bank may not raise rates at all this year, a dramatic turnaround from the expectation of two rate hikes. 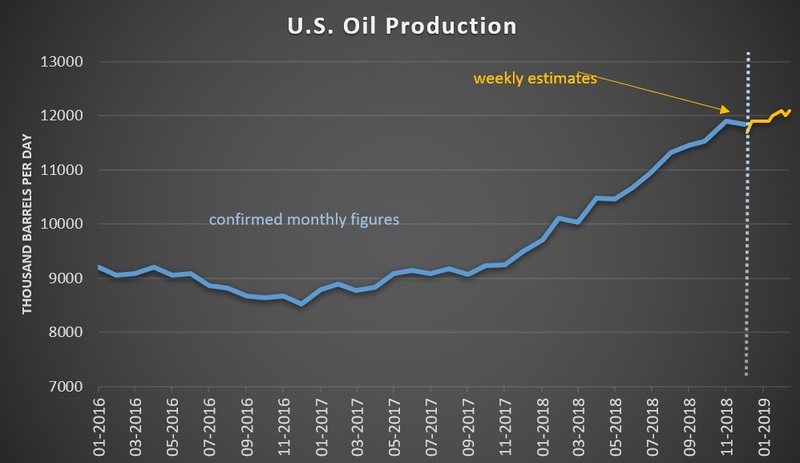 The move is very positive for oil prices, however the justification for backing off more rate hikes is that the central bank sees the global economy slowing more than previously thought. Trump’s economic team sees upside to high oil prices. 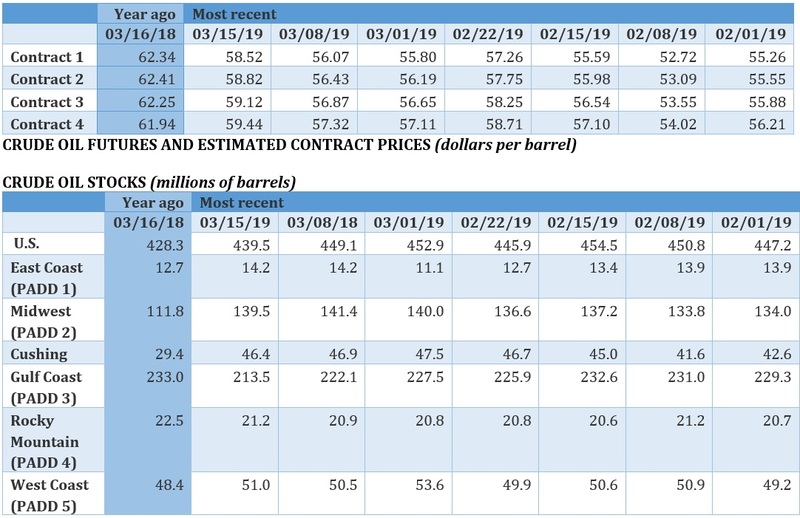 “If the United States becomes an annual net exporter of petroleum, higher oil prices would, on average, help the U.S. economy,” the Council of Economic Advisers said in annual economic report, flagged by Bloomberg. “In this case, the net gains for producers, and to their private partners that own mineral deposits, would outweigh the higher costs for consumers.” The conclusion flies in the face of Trump’s preference for low prices. AMLO’s plan for Pemex could drag down both. Mexico’s President Andres Manuel Lopez Obrador is trying to rescue state-owned Pemex, which is suffering from declining oil production and the world’s largest pile of debt. However, his plan, to cut taxes on the company, could put public finances in jeopardy while doing little to turn the company or production around. “Serious trouble at Pemex can be truly toxic for sentiment and the broader economy, and would contaminate the sovereign balance sheet,’’ said Alberto Ramos, the chief Latin America economist at Goldman Sachs Group Inc. in New York. Ford to invest $900 million in EVs. Ford (NYSE: F) announced plans to spend $900 million to hire 900 workers to build electric and self-driving vehicles in Michigan. Court rules oil and gas leases didn’t account for climate impacts. In a landmark ruling, a U.S. court ruled that leases granted by the federal government for oil and gas drilling in Wyoming violated federal law because the government did not assess the impact on climate change. Worse for the industry, the ruling “amounts to a road map that could be used to challenge hundreds of Trump administration leases as well,” according to the New York Times. LNG prices collapse because of “onslaught” of supply. 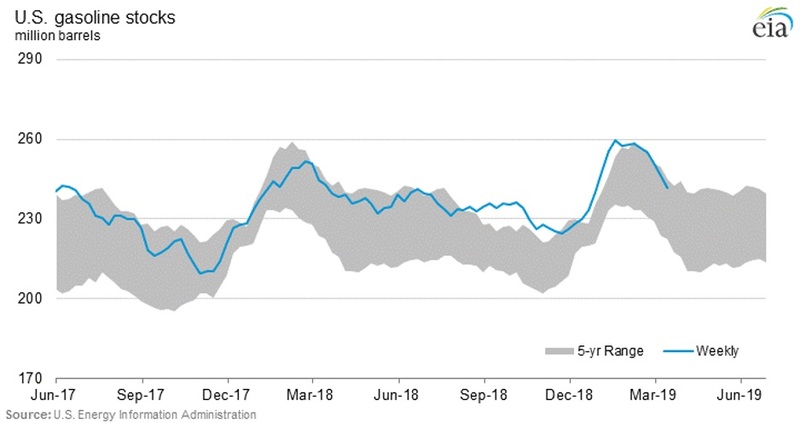 Prices for LNG in Asia collapsed by more than 50 percent from their 2018 highs as a wave of new projects have come online. 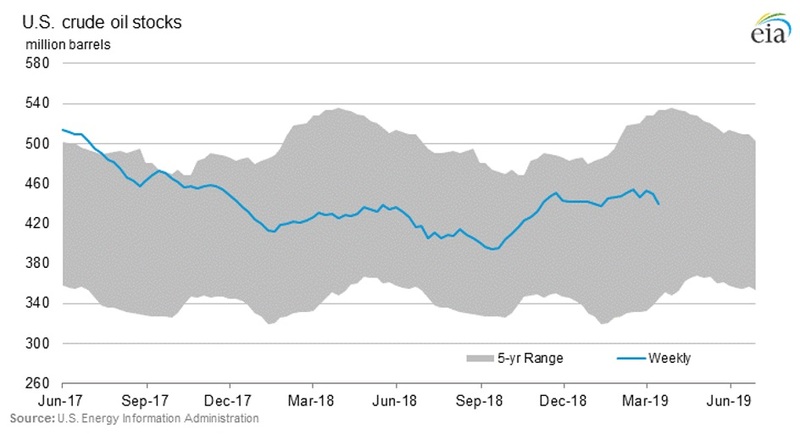 “LNG supply growth of 22 mtpa in 2018 proved too much to handle. Now, we expect another 46 mtpa supply in 2019 and 27 mtpa in 2020, with most of the volumes coming from the US,” Bank of America Merrill Lynch wrote in a report. 10. The End Of A Record-Breaking Oil Rally?